Burhanuddin Yeop Majlis,. (2001). Teknologi fabrikasi litar bersepadu. - . 292. Badariah Bais and Burhanuddin Yeop Majlis. (2004). Mechanical sensitivity enhancement of an area-changed capacitive accelerometer by optimization of the device geometry. - Symposium on design, test, integration and packaging of MEMS/MOEMS (DTIP2004), Montreux, Switzerland. .
Azrif Manut, Badariah Bais and Burhanuddin Yeop Majlis. (2004). Mechanical behaviour of a 10g MEMS non-crossing differential capacitive accelerometer. - Proc. 2004 IEEE International Conference On Semiconductor Electronics (ICSE2004), Kuala Lumpur. .
Badariah Bais & Burhanuddin Yeop Majlis. (2004). Suspension design analysis on the performance of MEMS area-changed lateral capacitive accelerometer. - Proc. 2004 IEEE International Conference on Semiconductor Electronics (ICSE2004), Kuala Lumpur. .
Badariah Bais and Burhanuddin Yeop Majlis. (2005). Mechanical sensitivity enhancement of an area-changed capacitive accelerometer by optimization of the device geometry. - Analog Integrated Circuits and Signal Processing. 44:175-183. Bahram Azizollah Ganji, Burhanuddin Yeop Majlis. (2010). Slotted capacitive microphone with sputtered aluminum diaphragm and photoresist sacrificial layer. - Microsystem Technologies. 16:1803-1809. Akrajas Ali Umar, Munetaka Oyama, Muhamad Mat Salleh, and Burhanuddin Yeop Majlis. (2010). Formation of Highly Thin, Electron-Transparent Gold Nanoplates from Nanoseeds in Ternary Mixtures of Cetyltrimethylammonium Bromide, Poly(vinyl pyrrolidone), and Poly(ethylene glycol). - Crystal Growth and Design. 10(8):3694-3698. W. Wai-Chi, A.A. Azid, B.Y. Majlis. (2010). Formulation of stiffness constant and effective mass for a folded beam. - Archives of Mechanics. 62(5):405-418. Wong, W.C., Azid, I.A., Majlis, B.Y.. (2011). Theoretical Analysis of Stiffness Constant and Effective Mass for a Round-Folded Beam in MEMS Accelerometer. - Strojniski Vestnik/Journal of Mechanical Engineering. 57(6):517-525. Bahadorimehr, A., Majlis, B.Y.. (2011). Fabrication of glass-based microfluidic devices with photoresist as mask. - Informacije Midem-Journal Of Microelectronics Electronic Components And Materials. 41(3):193-196. Masoomeh Tehranirokh, Burhanuddin Yeop Majlis and Badariah Bais. (2008). Design of a micromechanical system utilizing hydrogel force for controlling a microvalve. - Proceeding International Conference on Semiconductor Electronics (ICSE2008), Johor Bahru, Malaysia. .
Bahram Azizollah Ganji and Burhanuddin Yeop Majlis. (2008). Deposition and etching of diaphragm and sacrificial layer in novel Mems capacitive microphone structure. - 2008 IEEE International Conference on Semiconductor Electronics (ICSE2008). .
Mustafa Al_Khusheiny and Burhanuddin Yeop Majlis. (2006). Aluminum based Two-Port-Clamped-Clamped Resonators. - Proc. IEEE Int.Conf. on Semiconductor Electronics(ICSE 2006), Kuala Lumpur, Malaysia. .
Mohsen Nabipoor and Burhanuddin Yeop Majlis. (2006). High-Precision Thickness Control of Silicon Membranes Using Etching Techniques. - ICSE 2006 Proc. 2006, Kuala Lumpur, Malaysia. .
Fatima Lina Ayatollahi, Burhanuddin Yeop Majlis,. (2006). Design and Modeling of Micromachined Condenser MEMS Loudspeaker using Permanent Magnet Neodymium�Iron�Boron (Nd�Fe�B). - ICSE 2006 Proc. 2006, IEEE Kuala Lumpur. .
J. Johari, J. Yunas, B.Y. Majlis. (2009). NEMS/MEMS Technology and Devices. - . 279-282. Gebeshuber I.C., Majlis B.Y. and Stachelberger H.. (2011). Biomimetics - Materials, Structures and Processes. Examples, Ideas and Case Studies. - . Ch. 3, pp. 25-50. Gebeshuber I.C., Macqueen M.O., Majlis B.Y. and Drack M.. (2013). Nanotechnology in the edge of convergence. - . 123-139 (10). Badariah Bais, Ille C. Gebeshuber & Burhanuddin Yeop Majlis. (2010). Encyclopedia of Nanoscience and Society. - . 466-470. Burhanuddin Yeop Majlis. (2008). Mems dan nanoteknologi: tersangat kecil tetapi impaknya raksasa. - . 82. Burhanuddin Yeop Majlis, Kostadin Grozev Kostadinov, Arshad Saleem Bhatti. (2013). Nanotechnology in the edge of convergence. - . 229. Mohammad Bhuyan, Md. Shabiul Islam & Burhanuddin Yeop Majlis. (2016). A Novel Fluid-Flow Based Micro Energy Harvester for Bio-medical device.. - . 1-89. Burhanuddin Yeop Majlis. (2018). Sensor dan Aktuator MEMS. - . 293. Umi Azmah Hasran, Siti Kartom Kamarudin, Wan Ramli Wan Daud, Burhanuddin Yeop Majlis, Abu Bakar Muhammad, Abdul Amir H Kadhum. (2007). Prestasi dan ulasan perbandingan model mikrosel bahan api metanol sistem langsung (uDMFC). - Seminar Penyelidikan Siswazah 2007. .
U.A. Hasran, S.K. Kamarudin, W.R.W. Daud, A.B. Mohamad, A.A.H. Kadhum, B.Y. Majlis. (2009). Overview of the mechanistic modeling approach for direct methanol fuel cell.  - Buku Abstrak Pascasidang Bengkel Penulisan Manuskrip Jurnal dan Tesis, 18-19 April 2009, Residence Hotel, UNITEN. .
GUP-2018-157 ultra impact technologies sdn. bhd.